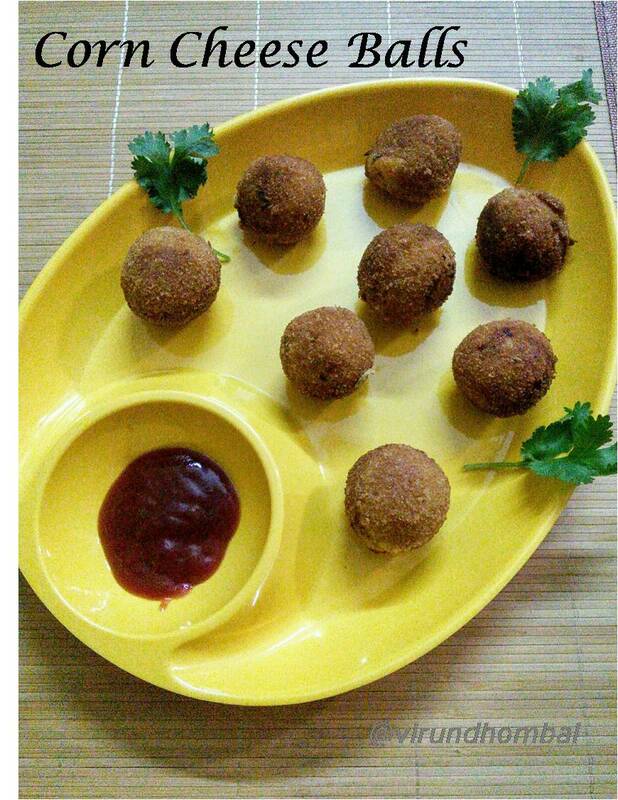 Now a days corn cheese balls, french fries, nuggets, tarts, are very popular and endearing snack items for kids. This corn cheese balls have three different tastes in each bite - crunchy, cheesy and savoury. 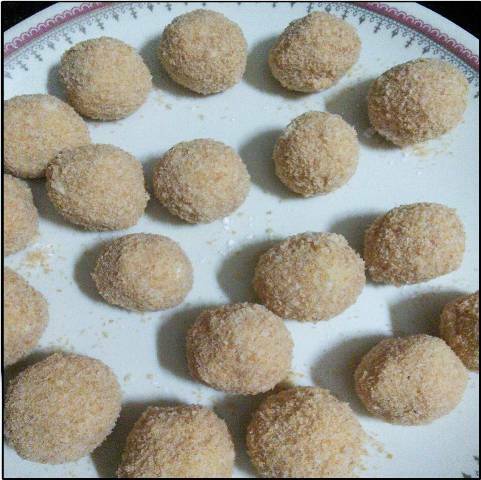 These balls have a nice blend of flavours and your kids will ask you to prepare frequently. These balls may be small, but they are packed with good flavours. Follow these simple instructions before frying your balls. 1. When you fry the balls, the oil needs to be hot. Don't heat the oil on high flame. It should heat up slowly. If you heat the oil too fast, then your balls will turn black. 2. The best part of these fried items are the dusting, coating and breading. 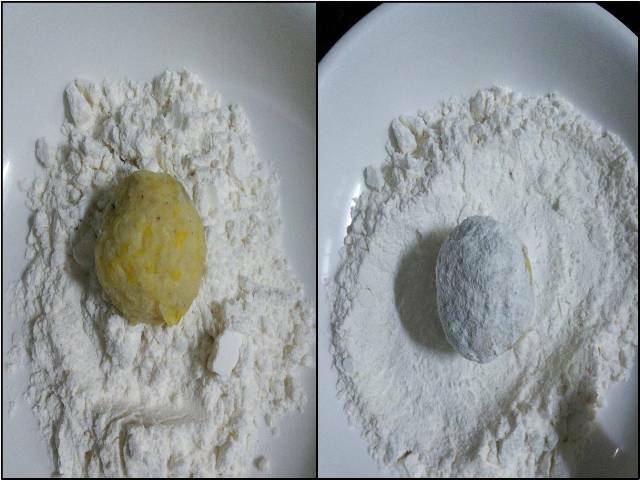 After preparing the balls roll it lightly in the flour and shake off the excess flour and dip it in the liquid coating. 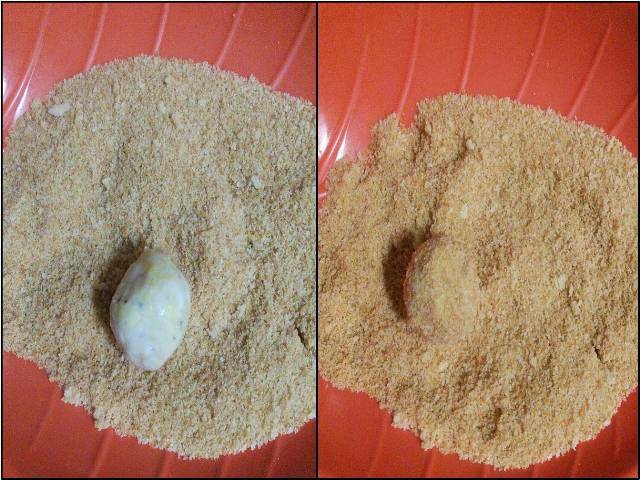 Always roll the balls lightly in the flour because heavy coating will not stick properly. Then dust the balls with the bread crumbs or powdered rusk. 3. You can refrigerate the balls for an hour and then you can fry them. Next, you have to fry these balls slowly and carefully. Please do not overcrowd the balls while frying. Make sure the balls are not touching each other. Lastly, drop the balls in a piece of paper towel. 4. If the oil becomes too hot and the balls are turning black then switch off the flame and change the oil. Mix them in a bowl without any lumps. 1. Pressure cook the potatoes for 5 to 7 whistles. Then pressure cook the corn for 4 whistles. 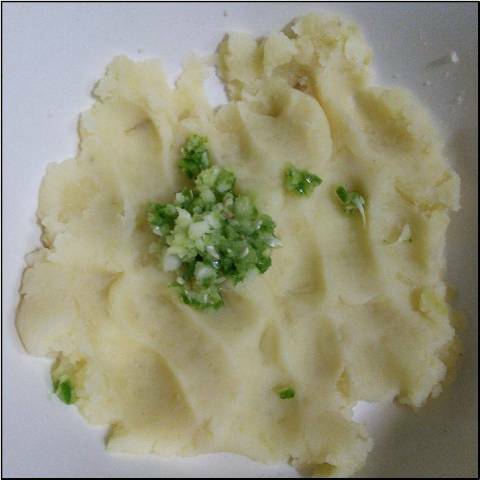 Pressure cook them separately.Grind the garlic and green chilly without any water or chop it finely. In the same jar, add the cooked corn and grind it coarsely. Take a bowl and add the potatoes. Mash them well. Next, add the garlic green chilly paste. 2. 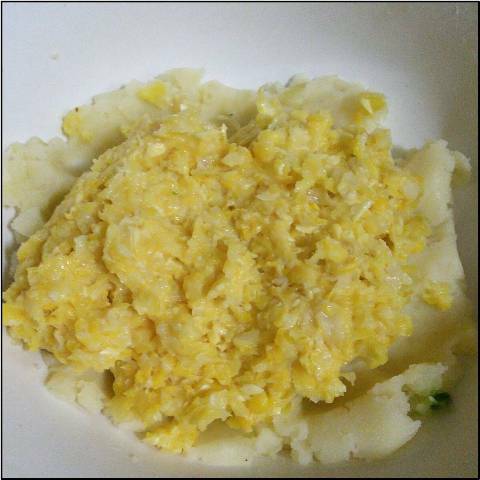 Next add the ground corn to the mashed potatoes. 3. 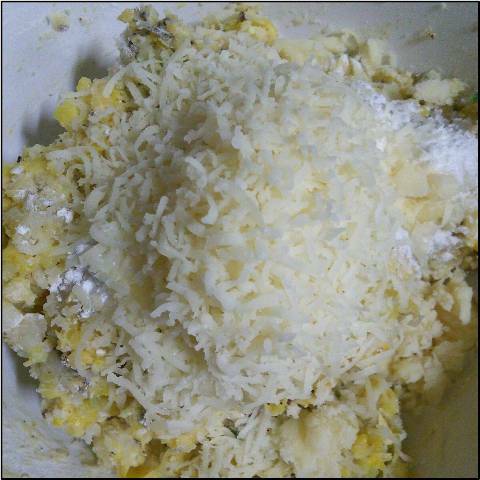 Next, add the pepper powder, oregano, 4 tsp corn flour, 1 tbsp maida, coarsely ground corn and required salt. Mix it with a dry spoon. 4. Now grate the cheese directly to this dough. Mix it well and if the dough appears sticky add some more maida and a tablespoon of rusk powder. 5. 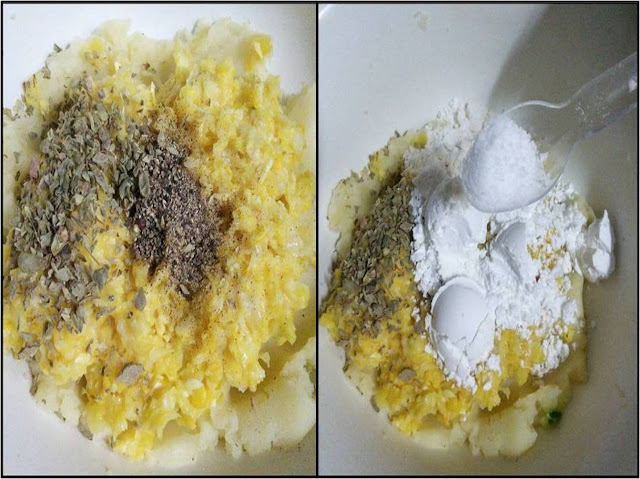 Place the bread crumbs or rusk powder, maida and the maida paste on 3 seperate plates. 6. 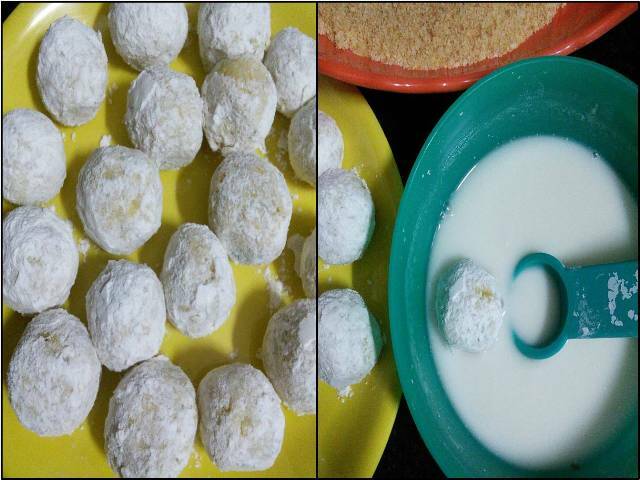 Now take small lemon sized balls and roll the balls in the maida flour. Repeat the process for the entire dough. 7. Now take the dusted balls in your right hand and dip it in the maida paste. 8. Now carefully take the dipped balls and put it in the bread crumbs.Now use your left hand and roll the balls in the bread crumbs and dust the balls fully covered. 9. Repeat the process for the entire balls. Keep it undisturbed for 10 to 15 minutes. 10. Heat oil in a flat pan on low heat. Slowly drop the balls and fry them until golden brown. 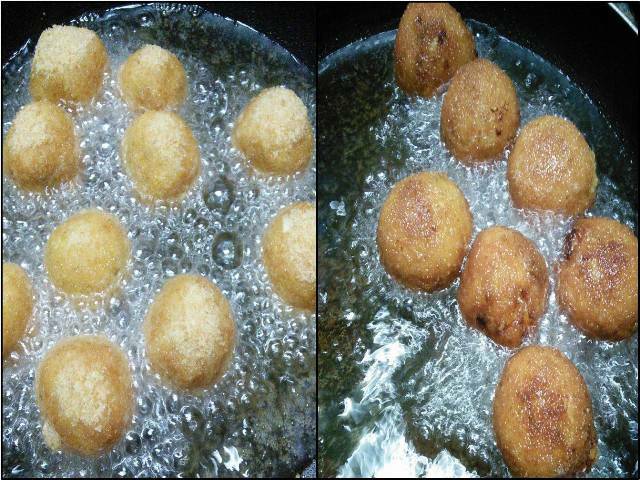 Using a spoon, flip the balls during frying to achieve even browning. Once the corn balls are golden brown, remove them to a plate with a piece of paper towel. Serve it immediately with tomato ketchup. 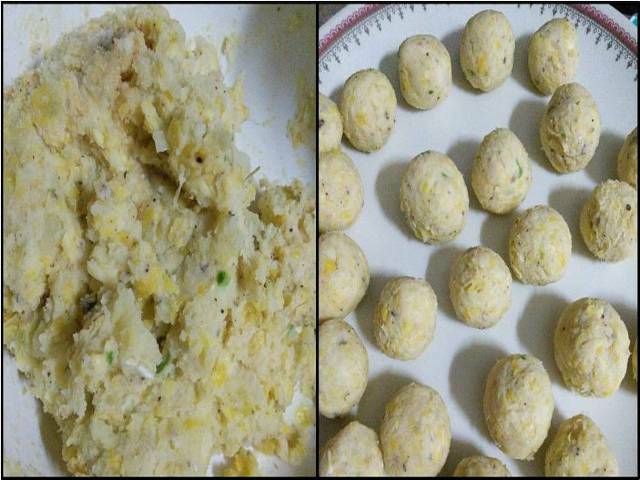 If you try this recipe for Corn cheese balls send us your comments below and share the recipe for your friends and family.